-Mutated Rat's Yalahar with TASKS maker, refiller, depositer. -Yalahar Arena 90-110k/h Master Sorcerer 80 LVL depositer/refiller. -Mutated Rats/Bat/Tigers @ Yalahar Arena MONEYMAKER!! -Cave Worker Golems 100 % AFK ! REFiller 100k/h DEPOSITER ! FOR PALLYS ! -water elementals refiller + rox targeting. Scripts do neobotbr mesmo! so organizei tudo! Rook Main - 100% AFK! 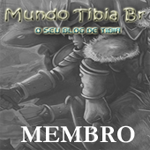 - Neobot , Tibia NG , Elf Bot !! Re: TIBIA WAYPONTS ! FULL AFk UP to 250 LEVEL !